Ready to cruise the oceans in comfort and safety. Butterfly blends top-level sailing performance with modern relaxing deck spaces. 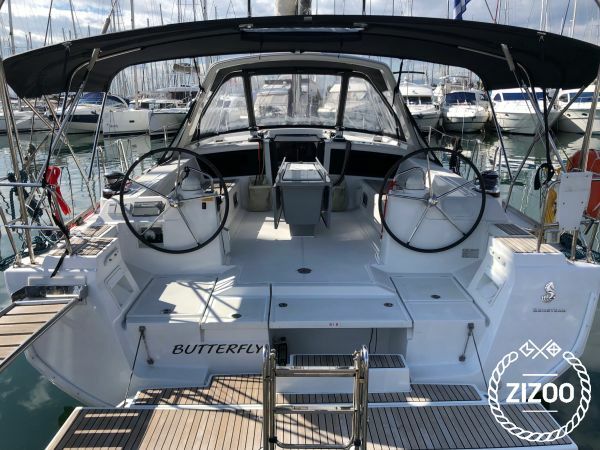 Built in 2015 and designed by the renowned Naval architects and interiors by Nauta Design the Butterfly offers fast, efficient and comfortable cruising under sail. Her impressive internal volume allows you to have a comfortable onboard living and accommodation for 10 guests in 5 cabins. While the interior is bathed in a wonderful amount of light from the large hull portholes, the 2 big air-condition units of this yacht make the onboard living ideal for her guests. After a day on the water, enjoy drinks at the wide cockpit while her huge swimming platform provides quick and easy access to the sea and to her dinghy. Requested 32 times this week!